The 2014 Prom Expo is happening soon! Check out our info about the event here. And stop by this page in the future for more info on all your prom and dance needs. Are you ready for prom? We are! 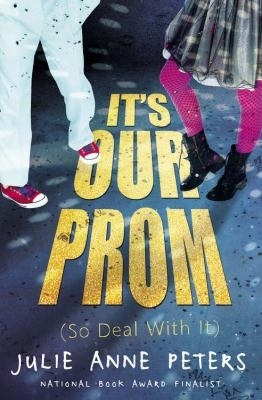 Though Prom Expo 2013 has passed, DC Public Library is still your one-stop shop for all things prom. Don't like your dress options? Learn how to make your own. Don't know how to tie a tie? Get help from the experts. From how-tos to hot fiction, we have selected a variety of books to get you ready. Browse our selection below or our full list at dclibrary.org/primepromreads. Find even more ideas on our Prom Inspiration Pinterest page. We had a fantastic time at your Prom Expo hosted by Despina Ades, Miss District of Columbia Teen USA 2013. As well as: Cola Colours Makeup Artistry, Promising Futures, Reach4Success, Trudy Gibbs of Mary Kay and many more.